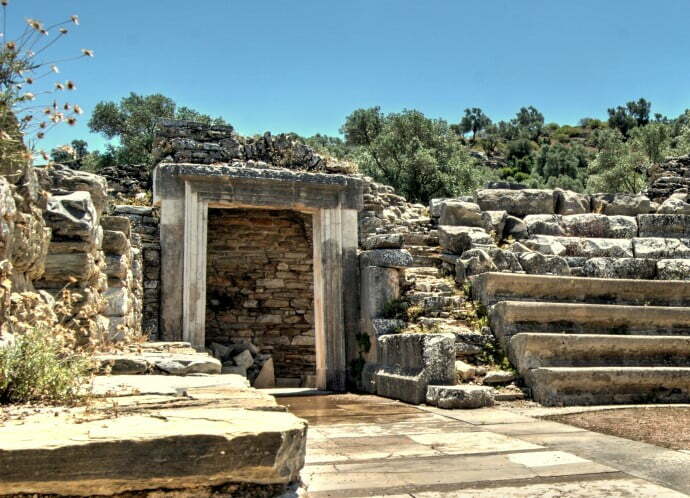 When it comes to fame and glory, Iasos is one of the humble historical sites of Turkey. It normally receives no more than a paragraph mention by websites and guidebooks and this problem has been officially recognized by the head of the excavation team. 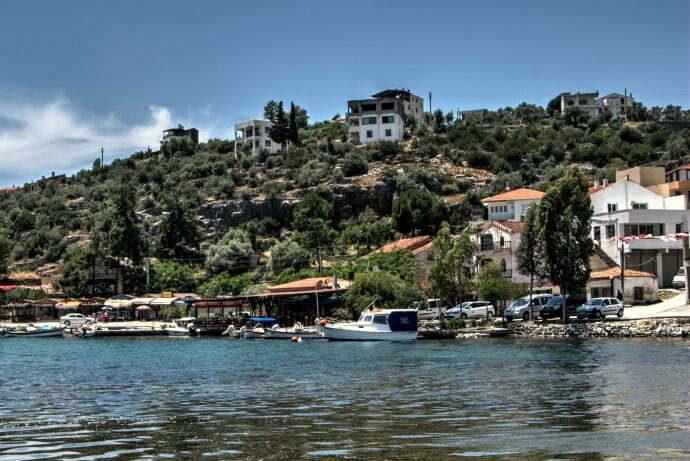 Yet to locals and expats of the Bodrum peninsula, Iasos is a small but cherished historical landmark. I had first attempted to visit in 2010 and staying true to habits, I got lost and ended up sitting in the middle of a mining quarry wondering what the rental car company would say about the state of their car. Curiosity was still in my mind though and in 2015, I finally made it when I was on a Turkish painting holiday in Bodrum. 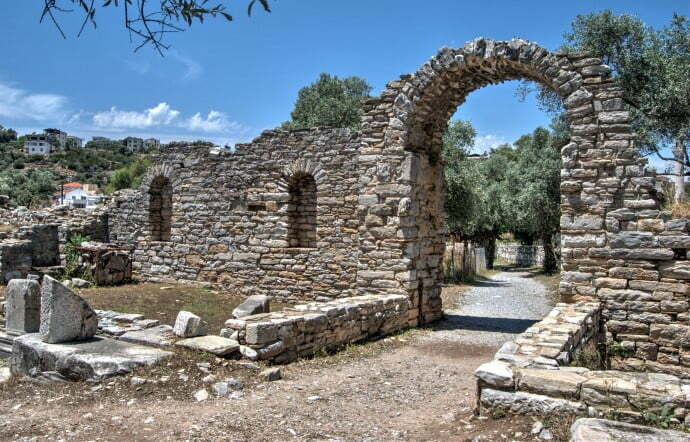 A day out at Iasos was part of the painting itinerary. The aim was to make sketches that we could later paint as masterpieces but at this point, I had learned that painting and drawing were not my strong talents in life. After a short drive along the peninsula and through a traditional village, we arrived at the entrance and while other members picked a focal point, then sat down with their sketch pads and pencils; I had decided my day would be more productive if I used my camera instead. 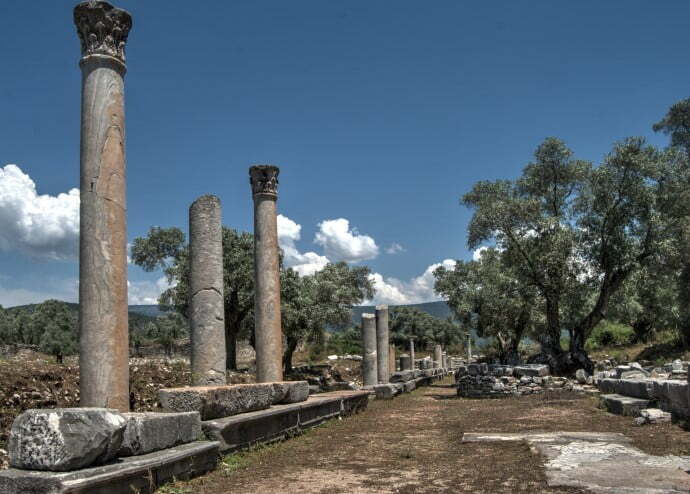 This ancient Carian city has a historical timeline bursting with events and prominent people. Caria was a Greek region that covered most of the Aegean and part of the Mediterranean coasts during the 11th to 6th century B.C. Sitting near the current day village of Kiyikislacik, Iasos was once an island and a member of the Delian league of 468 B.C, of which its main aim was to fight invasion by the Persian Empire. However, that all went wrong because the Spartans invaded Iasos anyway and if the film is anything to go by, those blokes don’t mess about when it comes to war and proving their masculinity through violence. Fast-forward to the 4th century and along came Alexander the Great, who also was a young man with an excessive amount of testosterone, and a desperate urge to invade half the world. Credit where it is due to though because he actually succeeded and there was a brief period of calm before a king of Macedon wanted to repeat history by likewise invading. It eventually came under the rule of the Byzantine empire but by the 15th century, when the Ottomans ruled the city, it lay deserted. So there was a trend for everyone and anyone with an army to get their hands on Iasos, but two reasons for that was firstly its strategic position on the Aegean coast of Turkey, and also because it was a harbour city and a good point of defense. So if you aren’t confused by now, fast-forward to 1835 when the Italians started digging to discover the ancient structures that we see today. 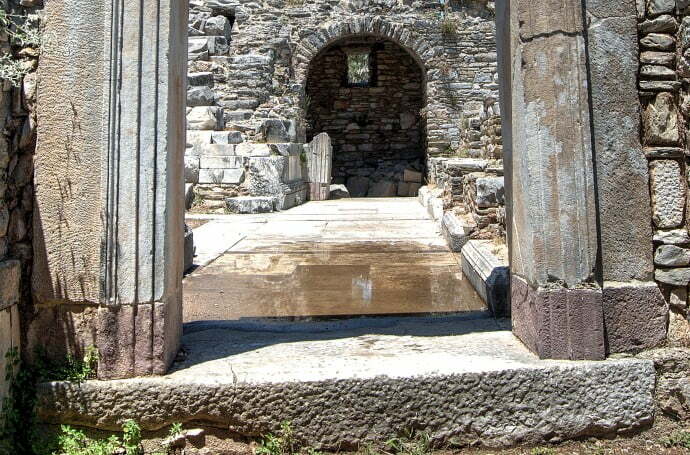 Anyone that has been to historical sites like Ephesus probably won’t be impressed by the excavations that include a theatre, aqueduct, agora, the east gate and a temple, but there are two other reasons to visit. After touring, we headed to Ceyar restaurant, a 3-minute walk from the ruins for what is internationally known as Aegean or Mediterranean dining. That is a feast of fresh fish, seafood and salad, all consumed while sitting by the seaside. The restaurant is popular with locals and visitors because of their quality of food and then I took a walk along the coastline past old houses and boats, both of which are ideal subjects for photographer enthusiasts or artists looking for subjects to draw, sketch or paint. 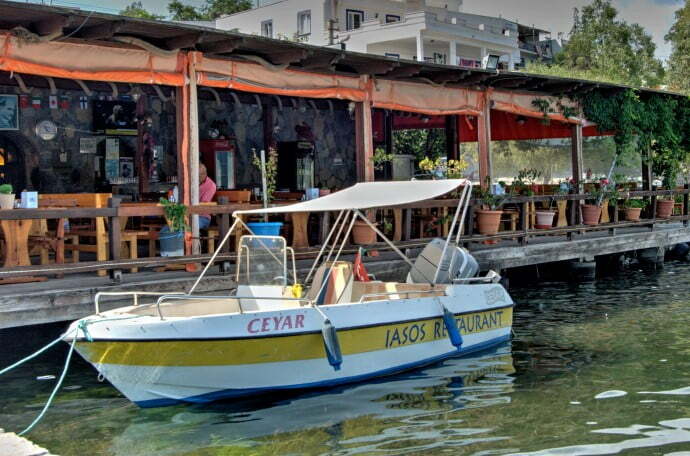 So a day out at Iasos is a combination of history, creativity and damn good food. You just couldn’t ask for more. 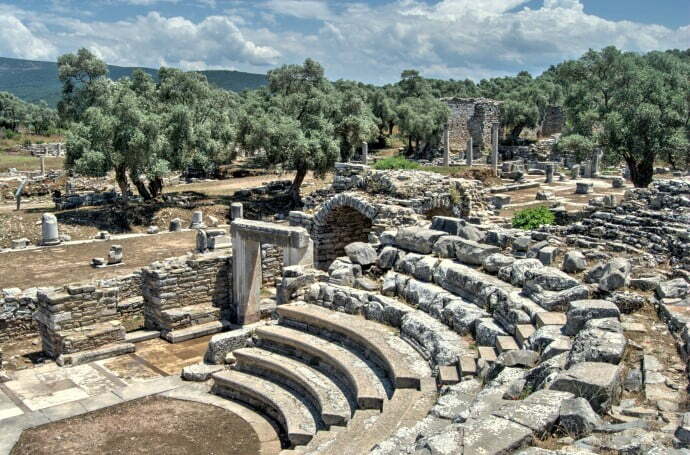 This article by Pat Yale, author of Turkey From the Inside is in-depth and perfect for details about staying overnight at Iasos as well as trekking in the surrounding countryside to visit the ancient Roman villas with intact mosaics. If you feel creative and want to explore other areas on the Bodrum Peninsula of Turkey, the crew of Turkish painting holidays are the perfect people to get in contact with and their website is here. I think I will visit again Annie – The restaurant sells crab as well! 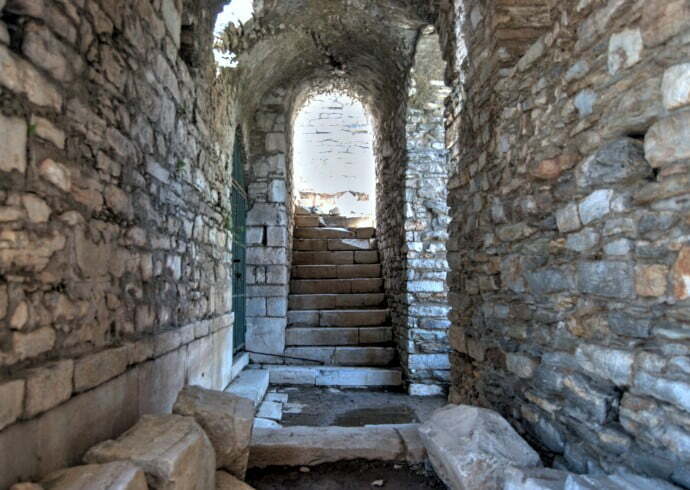 I love Iassos and have visited many times. 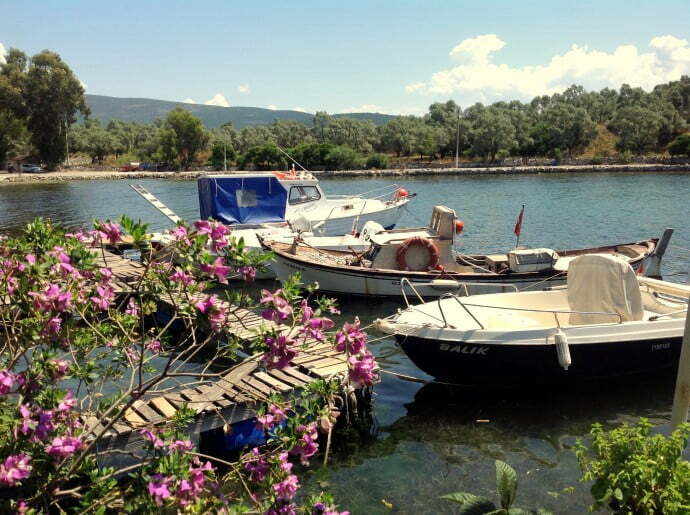 I did get lost once when visiting by boat from Turgutreis. We had to stop at a fish farm and ask the way.